Many real estate companies around the National Capital Region have taken money from homebuyers over the years, and failed to deliver homes. Some of these companies have also defaulted on bank loans. Take the case of Jaypee Infratech, one such company, which has been in the news lately. The company has collected anywhere from 70 to 100 per cent of the price of the homes that they were selling, from around 27,000 buyers. These buyers have paid anywhere between Rs 40 lakh each to Rs 1 crore each, to the company. On the other hand, the company has defaulted on a loan of Rs 526 crore. Or let’s take the case of Amrapali Group. One of the group companies (Amrapali Silicon City Private Ltd.) has defaulted on a loan amount of Rs 59.38 crore. Over and above this defaulted amount, overdue interest and penal interest adds to another Rs 11.77 crore. This takes the total amount to a little over Rs 71 crore. On the other hand, a newsreport in The Times of India suggests that there are nearly 45,000 homebuyers to whom the Amrapali group hasn’t delivered the promised homes. A report in the Business Today suggests that the group “owes over Rs 1,000 crore to about 10 banks”. When a debtor defaults, the banks can file an application under the Insolvency and Bankruptcy Code, 2016, with the National Company Law Tribunal, to trigger the Corporate Insolvency Resolution Process and appoint an insolvency resolution professional. Under this, the existing board of the company is suspended. The professional has 180 days to come up with a workable solution for the company to be able to repay the loans it has defaulted on. This can be extended by another 90 days. At the end of 270 days if no solution is in sight, then a liquidator is appointed. The trouble is that currently the homebuyers are not on the list of entities that will be compensated for payment of what is due to them once the company is liquidated. Some suggestions have been made that the homebuyers can be compensated under Section 53(1)(f) of the Insolvency and Bankruptcy Code. This is after workmen, secured creditors, employees other than workmen, unsecured creditors, amounts owed to the central and the state government, etc., have been compensated and before preference shareholders and equity shareholders, are compensated. In fact, Section 53(1)(f) lists “any remaining debts and dues,” under it. The question is can the money handed over by the homebuyers to these real estate companies be treated as debt? From the legal point of view this does not make sense given that the money that the buyers had handed over to the real estate companies was basically an advance and not a loan. Even with this point, the homebuyers come to low in the hierarchy to hope to be compensated at the end of the liquidation process. 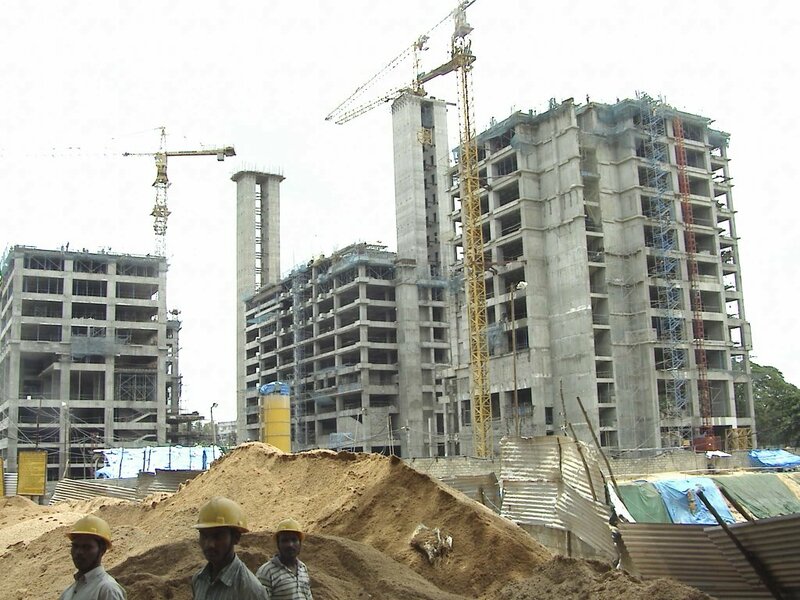 In the case of Jaypee Infratech, where the buyers went to the Supreme Court, in order to stall the insolvency resolution process, the Court has directed the insolvency resolution professional to come up with an interim resolution plan within 45 days. This plan is expected to take into account the interests of homebuyers i.e. those people who paid Jaypee Infratech for homes that were never delivered. The Supreme Court needs to basically decide whether homebuyers can be categorised as financial creditors or not. But does not answer the basic question: Where did the money that the homebuyers handed over to the real estate companies, actually go? This is an important question to ask because the bank loans that the developers have defaulted on are really very small, in comparison to the total amount of money they have raised from homebuyers and siphoned off. Take the case of Jaypee Infratech. The company has defaulted on a Rs 526 crore loan from IDBI Bank. In comparison, various media reports and suffering homebuyers suggest, that the company has taken on more than Rs 20,000 crore from homebuyers. Where did this money go? Given this, the bank defaults and the non-delivery of homes are two separate issues, and they need to be treated separately. Of course, Jaypee Infratech is not the only company here. There are many other companies. A newsreport in The Hindustan Times suggests that 13 FIRs were filed against six such companies, Amrapali, Supertech, Alpine Realtech Private Limited, BRUY Limited, Today Home Builders and JNC developers, in early September 2017. The question is where did the money all these companies and others, raised from homebuyers disappear? Did the promoters pad up the expenses and tunnel this money out to buy land? Or did they simply siphon this money off? Or did they use it to complete other projects? And if that was the case, where did the money that was raised for these other projects go? It clearly seems that money has been laundered by promoters of these companies. Unless, these questions are answered and the homebuyers’ money recovered from the errant real estate companies, there is no way that this issue can be solved. Hence, the questions listed above need to be investigated. Given that FIRs have already been filed against many real estate companies which have not delivered on homes, under the required sections of the Indian Penal Code, the Enforcement Directorate can register cases against these companies and carry out detailed investigations under the Prevention of Money Laundering Act (PMLA). Of course, this would mean investigating many companies, but the modus operandi of laundering money in many cases would be similar. At the same time, this can set the record straight for the future. If housing for all is to be achieved by 2022 (or even 2032 for that matter), the private real estate companies need to play an important role in it. And given that, it is important that the errant real estate companies not be allowed to get-away with the crime that they have committed against the homebuyers. A precedent needs to be set, so that in the future, things like these do not happen all over again. It is also an excellent opportunity for prime minister Narendra Modi to revive his fight against black money and show some concrete action on this front. The hard-earned money of most homebuyers has been laundered and converted into black money and that needs to be tackled. The column originally appeared on Equitymaster on September 18, 2017. It is interesting to see the kind of responses that Narendra Modi government’s decision to demonetise notes of Rs 500 and Rs 1,000 is getting on the social media. Those who are in favour of the decision seem to always find examples of how the decision is a good one. Like some people keep running into chaiwallahs who take payments through Paytm. There is no denying that there are chaiwallahs out-there who do take payments through Paytm, but what proportion of the total chaiwallahs do they form, is a question no one is answering. Those against the decision seem to always find examples of the decision being a bad one. For them, the ATMs are still not dispensing cash or banks are crowded or senior citizens are being made to wait and so on. Most of these examples are correct as well. This Sunday I stepped out to withdraw cash from an ATM. None of three-four ATMs that I usually withdraw cash from, had notes. Hence, I had to come back home disappointed. Of course, the post in social media terminology was anti Narendra Modi. This got an interesting series of responses both on Twitter as well as Facebook. One of the first responses I got was that the anti-establishment rant felt like that I had decided not to see merit in the actions of the government. Then there were the usual responses around I being a chamcha of Rahul Gandhi. There were others who said how ATMs were just fine in their cities. One respondent talked about ATMs dispensing cash in Bhopal. I asked him to send me air-tickets. A cousin talked about ATMs working well in Jammu. The point I am trying to make here is that everybody seems to have already worked out whether demonetisation is a good thing or a bad thing, even before any data has come out. And having worked that out we are all looking for examples which suit our point of view. This tendency has been at full play in the aftermath of the demonetisation decision. The trouble is that there is no data either ways. One of the goals of demonetisation is to destroy the current stock of black money held in the form of cash. 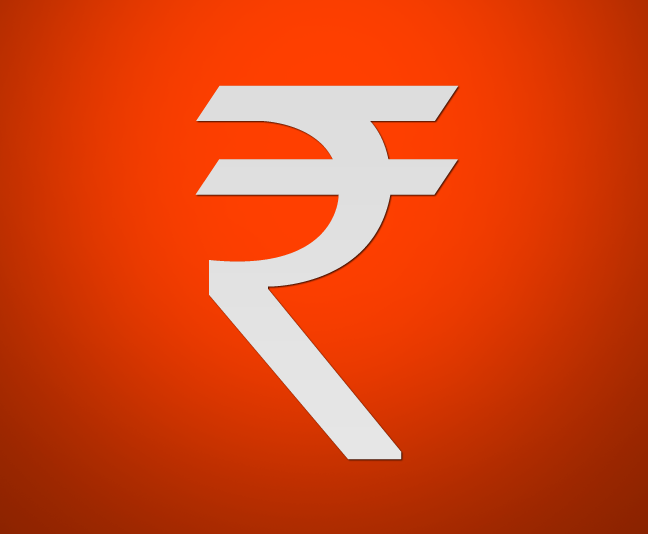 The total amount of currency demonetised by value stands at Rs 14.2 lakh crore. The lower the amount that makes it to banks to be exchanged, the higher will be the stock of black money destroyed. This shall only become clear once the last date of submitting the demonetised notes of Rs 500 and Rs 1,000 is over. The last date currently stands at December 30, 2016. Hence, this shall become clear only in January 2017. At the same time, whether the government has been able to clean up counterfeit notes, will also become clear then (assuming it chooses to release the information). On the flip side, with the new Rs 500 note not hitting the market quickly enough, there is a shortage of currency going around. This has led to the transactions in various markets coming down dramatically. The real situation will become clear at the beginning of next month when the car sales, two-wheeler sales and tractor-sales data come out. With the transactions in different markets collapsing, overall consumption is likely to take a beating. This will lead to lower indirect taxes (primarily customs duty and excise) for the government. Again, this shall become clear at the beginning of next month, when the ministry of finance publishes this data. Also, it will take a few months to figure out the real impact of the demonetisation decision. But who has time to wait for a few months on the social media. We have all made up our minds already. The two news grabbing events last week were the release of the dark drugs drama Udta Punjab and the exit of Reserve Bank of India(RBI) governor Raghuram Rajan. Udta Punjab finally made it to the theatres thanks to the Bombay High Court. And Rajan decided to go back to academics in the United States, perhaps because he wasn’t offered a second term by the Narendra Modi government. It was interesting to see how the Bhakts (for the lack of a better term) reacted to both these issues. In case of Udta Punjab they were convinced that the movie was funded by the Aam Aadmi Party(AAP) and hence, showed Punjab in a bad light. And given that, the cuts that the censor board wanted the producers of the movie to carry out, were justified. Of course, none of the Bhakts had seen the movie. Even some basic reasoning can tell us how stupid this sounds. The script for the movie would have been written in late 2013, early 2014. So, the Bhakts want us to believe that two writers of the movie, wrote the movie back then, planning three to four years ahead, to show Punjab in bad light, before the elections. In late 2013, and early 2014, nobody knew that AAP would be a force to reckon with in Punjab. In case of Rajan, the Bhakts have been convinced that the man did not deserve a second term, because he was not mentally Indian and had a green card. Some Bhakts even thought he is not an Indian citizen, which is basically rubbish because you cannot be an RBI governor without being an Indian citizen. Still others totally believed in the accusations that maverick BJP leader Subramanian Swamy had labelled at Rajan. How does confirmation bias fit into the case of Udta Punjab and Raghuram Rajan? 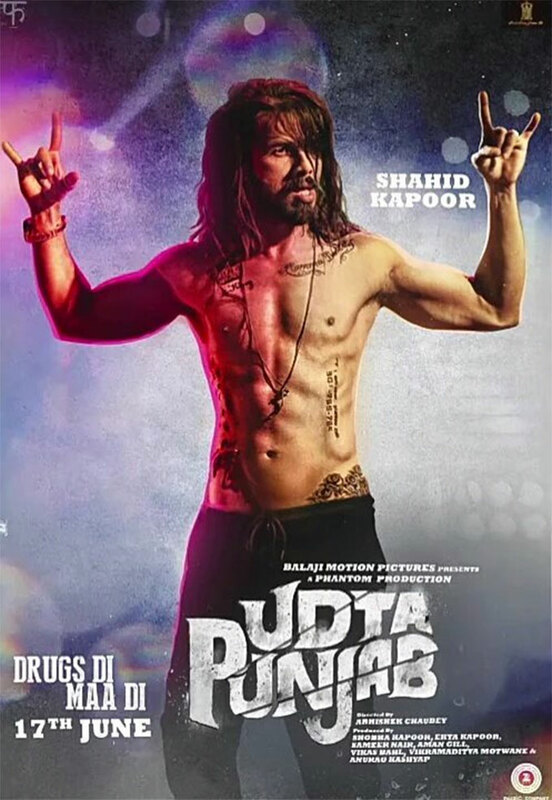 In case of Udta Punjab, sometime before the film’s release AAP started running an anti-drugs campaign in Punjab. Needless to say, it latched on to the movie. And AAP of course is against the Bhartiya Janata Party, the home ground of Bhakts. Hence, Udta Punjab was bad, and reasons to opposite it had to be found and were found. As far as Rajan goes he is a man of ideas and an intellectual who is not afraid of speaking out his mind against whatever the government’s stated position on an issue is. This, of course, doesn’t go down well with Bhakts. In Bhakt land, you cannot question the Narendra Modi government. And hence, reasons justifying Rajan’s exit have quickly been found. The most stupid reason being that India has enough good economists to replace Rajan. Yes, it surely does. But why fix what is already working? I have been writing quite a lot on real estate recently. Given that, I had thought that I will take a break from writing on real estate for some time. But that I guess is not going to happen. So here is one more column on real estate. As I have pointed out in the past, every time I write a column on real estate, people write to me with reasons as to why real estate prices in India, can never fall. The reasons usually offered are population growth, not enough land, inflation and black money. I have debunked these theories at various points of time, so I won’t get into these reasons all over again. The irony is that all the reasons that are offered now in favour of real estate prices not crashing, were as valid then, as they are now. But real estate prices did fall. So, real estate prices do fall, it’s just most people don’t remember about it, given that they haven’t fallen for a while now. One of the newer reasons that has been offered in the recent past is that the government won’t allow the price of real estate to fall. This is because politicians have their ill-gotten wealth invested in real estate. Another corollary to this was offered to me by a friend yesterday who citing a discussion he had on a WhatsApp group said that the government will not allow the price of real estate to fall by more than 20%. If the government allows the real estate prices to fall more than 20%, the banks will end up with a huge amount of bad loans. The problem with this argument is the assumption that the government can control these things. If it could, the banks would not be sitting on the massive amount of bad loans that they already are. Let’s take the case of the Chinese stock market. On July 27, 2015, the Shanghai Composite Index fell by 8.5% during the course of a single day. It would have fallen more. But that did not happen given that the rules in China prevent share prices from moving freely once they have risen or fallen by 10% during the course of a single day. This despite the Chinese government doing everything within its power to ensure that the stock market did not fall. It banned short selling. It banned initial public offerings, so that people buy shares already listed in the market. It banned investors with more than 5% of shares in any company, from selling those shares over the next six months. Over and above this, the government got stock brokerages to buy shares. As Wei Yao of Societe Generale points out in a recent research note: “ The Ministry of Finance, one of the big shareholders of listed financial institutions, promised not to sell its holding and several central government SOEs[state owned enterprises]…started to buyback shares.” Despite all these measures the Chinese market fell by 8.5% in a single day, its biggest fall since 2007. The Chinese government has way more control over the Chinese economy than the Indian government will ever have over the Indian economy. And if the Chinese government hasn’t been able to prevent the stock market from falling, what are the chances that the Indian government will be able to prevent the real estate market from falling? The Shanghai Composite Index has fallen by close to 27% between June 12 and July 29, 2015. This, despite the government taking multiple measures to arrest the fall. The moral of the story is that the governments cannot prevent big market falls. Another point that I want to make here is regarding the people who are going around saying that real estate prices will not fall and that real estate prices never fall. These are essentially individuals who make money through real estate. Either they own multiple homes and are sitting in the hope of prices continuing to go up or they work for the real estate industry. So here is a real estate consultant telling us that the overall Mumbai real estate scene is in a mess. It’s never been so bad since 2008. And Mumbai is not even the worst performing real estate market in the country. That title goes to Delhi. A few years back I had a similar experience when those associated with the insurance industry kept telling us that unit linked insurance plans (Ulips) are the best mode of investing. We all knew what happened to those who invested in Ulips.